From his humble origins as “Champion: The Drinker” from Mr. Show to his supporting role as “Mr. Peanut Butter” on Netflix’s hit Bojack Horseman, Paul F Tompkins has done it all. Lately, you’ve seen him on “No, You Shut Up!” on Fusion TV, on Adventure Time and Bob’s Burgers, and on IFC’s Comedy Bang Bang! I recently sat down with Paul to discuss his current and past roles, and how the business has changed for him. Karen: You’ve recently joined cult hit podcast Superego, but your involvement with them has an interesting backstory. Care to tell it? Paul F Tompkins: I had heard about them on a podcast thread on a message board. Someone had said that it was sketch comedy and it’s improvised. It sounded intriguing. I listened to it and I loved it right away. I sent those guys a message. They knew who I was and they contacted me. Turns out, we knew some people in common, so they invited me to come sit in with them. I got in the regular rotation. I would record with them a bunch, and do live shows with them. When they were getting ready to do this new season, they asked me to officially join, and I was thrilled. I love those guys. Performing with them and improvising with them helped deepen a new chapter in my life, which started with podcasting, and through working on my own and by osmosis with people I get to work with, study improv, and get better at it. I’m still learning, but it’s an amazing thing. It’s nice to have a new thing… to learn something again. Stand up is very solitary. I love working with those guys. Every time I do, I learn something from them. Karen: Let’s talk about BoJack Horseman, because your character on that show is very unique. He’s so positive, there don’t really seem to be stakes for him. Paul F Tompkins: This show ended up being a much deeper and richer show than I had originally realized. Nobody told me “here’s our plan for this show.” It was just “do you want to play this dog? Here’s the people involved.” and I was just like “yes.That sounds like fun.” At first blush, Mr Peanut Butterseems like a Hollywood phony character, but what I realized as we went along was, like a dog, he is relentlessly positive, and sees excitement in everything. He’s a nemesis to BoJack only in the way that he’s had the same experiences as BoJack, but he views them as positive. His view is, “isn’t it great I got to be on that TV show? It’s not on anymore, so I’ll go do something else.” I wish I could be that positive. Season two is going to be interesting, because I’ve been told that things are going to change for Mr. Peanut Butter, so we’ll see. Karen: You’ve played many smaller characters on Bob’s Burgers and Adventure Time. How is it for you creating characters that you walk in to record 10 lines for? Paul F Tompkins: It’s fun. I like the challenge of coming up with voices. At the BoJack table reads, I will often fill in for smaller characters that might be voiced by someone else. There are also other voices I do on that show. What’s funny about being asked to guest is that with Adventure Time, I did a couple of episodes of that because the guys who created that show are comedy fans. The first one I did, they gave me notes like “Could this guy be British?” So, I tried a couple of things, and they just said, “You know how you do that Andrew Lloyd Webber voice? Could you do that?” They had a specific thing they wanted. With Bob’s Burgers, I want to do different voices all the time, but Loren Bouchard, who runs that show likes to keep it as naturalistic as possible. HE doesn’t want me to do crazy voices. So then it becomes “how do I make this ventriloquist on a cruise ship sound different than the documentary filmmaker, which is the first voice I did on that show, which is just my voice?” It’s different disciplines for different shows. Karen: Let’s talk about SpeakEasy. We all know why comedians make great podcast guests, but why do comedians make great interviewers? Paul F Tompkins: I think that the model for comedian as interviewer is the late night talk show, and the thought being that “it’s good to have someone who is funny in case the guest ends up being boring.” Not everyone is a good storyteller or easily drawn out, so you want someone who is a quick, funny person. Every once and a while, you’ll see it. What makes a great interviewer, period is that you have to be interested in people. It’s something you don’t see very often these days. The late night formula is almost interview proof. It’s like “we know what the stories are going to be, and the host has an opportunity to be funny.” It’s all taken care of. Not to say there’s no spontaneity, but the producers are all very concerned about it being bulletproof. It’s rare in that setting that you’ll see something get interesting or deep. That’s more the domain of journalistic interviews like Charlie Rose. I like to be somewhere in the middle. I can be funny, but I don’t have to be funny. I’m genuinely interested in the people on my show. I try to keep it as conversational as possible. Because of that, I really have to listen. I don’t want to miss something that might be great. Karen: Your other show, “No, You Shut Up!” features puppet co-stars. I have heard from people who have done Sesame Street they are legitimately surprised that the puppets crack them up. What’s it like on your set? Paul F Tompkins: Oh yeah. The puppeteers on this show, which is a roundtable discussion show on current events, it’s like Meet the Press with puppets, and I’m the host. These are puppeteers and improvisers, so they are legitimately funny people. They crack me up every single episode. They are very funny people and they make me laugh and surprise me. There’s a weird thing when you’re working with puppets. It’s not that you forget it’s a puppet, but your focus excludes the puppeteer. You’re looking at these weird faces and it becomes absurd again and again. Karen: Are you able to talk about what happened to Best Week Ever? One executive who had been there for a long time just kept asking us for new jokes in a rude and abrupt way. Someone who was out of touch was asking us to be funnier. It started with a lot of promise. The producers were very excited and everyone who worked on the show had a lot of fun, and then there was meddling from the Executive Producers and the Network, and to me it was like, “let’s try some things.” and they got involved way too soon. We were just getting started, and we had executives who wanted it to be like The Soup. One executive who had been there for a long time just kept asking us for new jokes in a rude and abrupt way. Someone who was out of touch was asking us to be funnier. We also had a producer who wasn’t on our side, but on the network’s side. We got all these notes, and it was frustrating. The team all thought we had a good thing going and we were having a great time. I think the only thing that could have saved us was if we had been left alone, and gotten some press for being original. I have a lot of very fond memories of that time. VH1 is a channel that does one kind of format until it is run into the ground. The other shows on VH1 at the time were all gross dating shows where a bunch of mentally ill or drug addicted people were vying for the love of some other mentally ill or drug addicted person. It was disappointing. I wish I had really focused on hosting another show right after that, because I think I would have gone farther in that field. I would have gotten in the game. Now, when late night stuff comes up, I would love to do that, but I’m not in the game. The game has changed. Unfortunately, I didn’t see that at the time, and the people who represented me at the time weren’t forward thinking enough. I should have whipped up another show for me to host and pitched it around when I had the chance. Those days are over. I pitched a variety show to Netflix and they are not interested. I’m on one of their shows. It’s a shame. It’s something I’m coming to terms with. Given my age, given the climate of the business, I’m not an attractive option for networks, even for cable. There’s people younger than me with more juice and heat on them. I have a very nice career, and I have done a lot of fun stuff, but it’s tough to let go of a dream. The hoping kills you after a while. You start when you’re young, when you still have the energy and the hope to deal with the disappointment. At some point, though, you do have to be realistic. I’m a middle aged guy. I only have so much energy, so now I have to be more thoughtful about where I place that energy. Karen: You mentioned before that you pitched a variety show. It’s a format that people have tried to reboot off and on with various levels of success. Why do you think it’s not always well received? 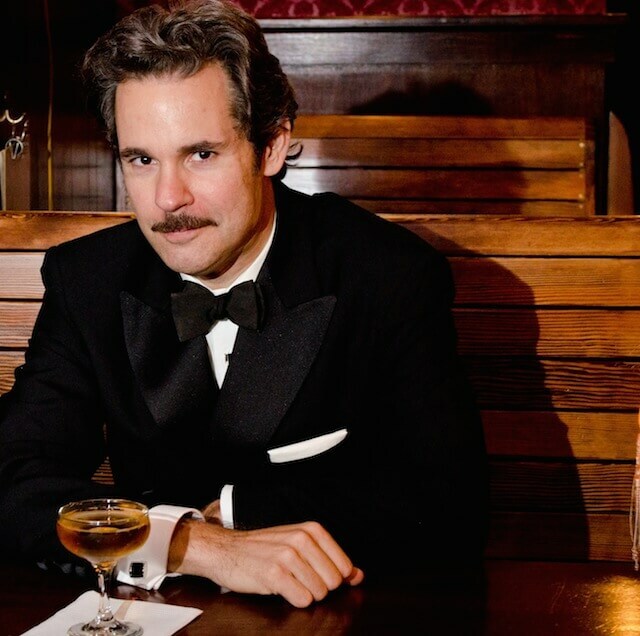 Paul F Tompkins: My dream is to have a variety show. and it will never happen. The reason I think shows like Viva Variety didn’t work, and why you don’t see more variety shows is that people seem to feel like they have to comment on it being a variety show. Maya Rudolph’s special has a big opening number about it being a variety show. There’s no need to comment on it. It’s not trapped in amber as a format. All you have to do is do modern stuff. What is it? It’s comedy, it’s music, and other stuff. There are people doing modern versions of that stuff today. I do a variety show in LA, and people get it. It’s a totally legitimate format. I love it because it’s all the things I love to do. I get to sing. I get to tell jokes, I get to host. Karen: When you first guested on Comedy Bang Bang, did you create some of your famous characters on-the fly? There’s sometimes an impression that characters come to the show already baked from Largo and UCB. Paul F Tompkins: Doing Comedy Death Ray [the precursor to Comedy Bang Bang] opened up a whole new creative window for me. The first time I did the show was as Best Week Ever was winding down, and Scott told me I could be a guest, or be a guest as a character, and I never would have thought to go on the show as a character. Scott saying that to me was a turning point for me creatively. I take doing that show very seriously. Karen: What’s the fate of the Pod F Tompkast? Paul F Tompkins: I so miss doing it, and I really want to bring it back, I just can’t say when it will happen. It is so involved. I’m in the middle of reassessing the stuff I do. I’m coming to terms with the fact that I have overcommitted myself over the last 2 years.